2 boat owner wants his pride & joy to go to a good owner soon! 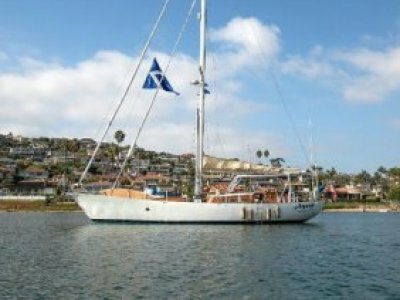 The "ultimate cruising machine" by Steve Dashew, reduced for prompt sale & sailing! Broker's notes after sailing on a sister ship from San Francisco to Hawaii traveling over 2500nm in 11.5 days (racing), 8.5 days with the spinnaker flying 24 hours/day I am a believer! We were surfing at 16.8 knots while the cook prepared a 17-pound turkey dinner with all the fix 'ins for our ½ way party! Double digits were the norm on the knot meter. The last of these iconic cruising machines built, is seriously for sale personal inspections and offers are encouraged.